Campaigning for Afghanistan’s long-delayed parliamentary elections kicks off Friday, as a crescendo of deadly violence and claims of widespread fraud fuel debate over whether the vote will go ahead. 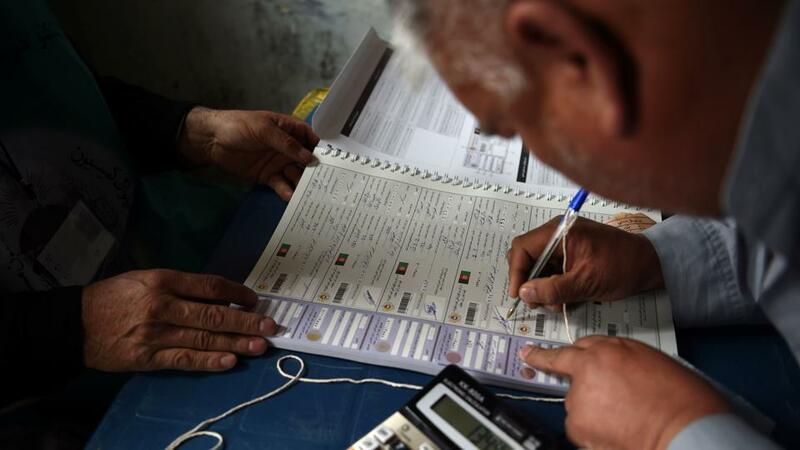 But preparations for the ballot, which is more than three years late, have been in turmoil for months, despite U.N.-led efforts to keep Afghan organizers on track. Bureaucratic inefficiency, allegations of industrial-scale fraud and now an eleventh-hour pledge for biometric verification of voters threaten to derail the election and any hope of a credible result. It will be “highly flawed,” a Western diplomat admitted to AFP this week, reflecting falling expectations across Kabul’s international community, which is providing most of the funding for the elections. The Independent Election Commission (IEC) has insisted voting will go ahead, with or without the biometric machines that have been demanded by opposition groups to prevent people from voting more than once. Only 4,400 out of the 22,000 German-made machines ordered have been delivered to Afghanistan, officials said. “They have promised (biometric verification) and they may do it, but will it be successful in dispelling the concerns? I’m doubtful,” Afghanistan Analysts Network researcher Ali Yawar Adili told AFP. The list of candidates, which has been trimmed to 2,565 after 35 were expelled, are competing for 249 seats in the lower house, whose members are widely derided as corrupt and ineffective. Most MPs are seeking re-election. But hundreds of political first-timers — including the offspring of former warlords, entrepreneurs, and journalists — are also contesting the vote. “Parliament is supposed to be the house of the people. Instead, it has become a place for mafia networks, corruption, and those who work for their own interests,” said former TV journalist Maryam Sama, 26, who is running in Kabul province. Afghanistan’s demographics should, in theory, favor younger candidates — the country is ranked as one of the youngest and fastest growing in the world. “Old politicians, ethnic and religious power brokers regard themselves as the rightful and exclusive owners of politics and have the power and resources,” said Naeem Ayubzada, director of Transparent Election Foundation of Afghanistan. Some 54,000 members of Afghanistan’s beleaguered security forces will be responsible for protecting more than 5,000 polling centers on election day. More than 2,000 polling centers that were supposed to open will be closed for security reasons. “Elections are not about NATO but about Afghan people,” Cornelius Zimmermann, NATO’s senior civilian representative in Afghanistan, told a recent meeting of Afghan security officials. District council elections, which also were scheduled to be held on October 20, have been postponed and a parliamentary vote in Ghazni province, whose capital the Taliban recently raided, has been canceled. Delaying voting in the rest of the country until after the presidential poll “would be best”, a Western official monitoring election preparations told AFP on the condition of anonymity. “If the process is not accepted, how can you accept the outcome?” the official asked.